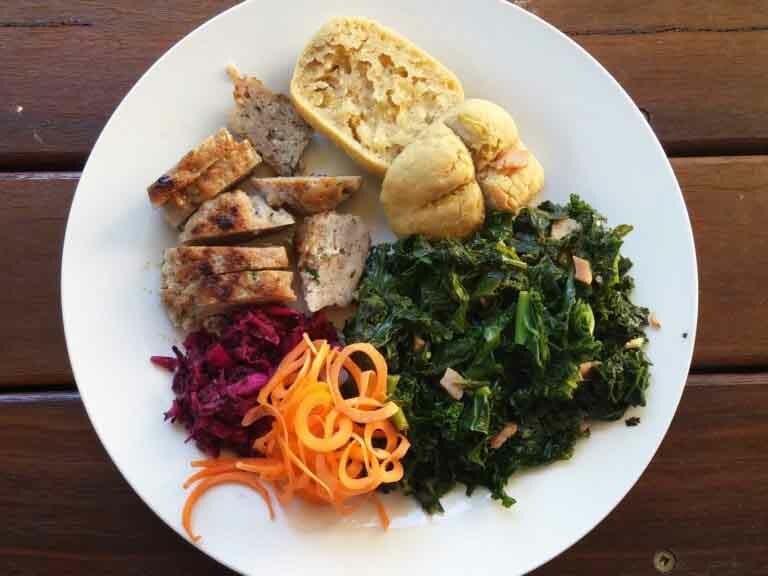 This is the AIP Dinner Roll recipe from The Paleo Mom converted to metric measurements, for the TM31 Thermomix and also converted to use the Australian Cassava flour brand Three Spades, which does react/handle slightly differently to the Otto’s Cassava Flour used in the original recipe. 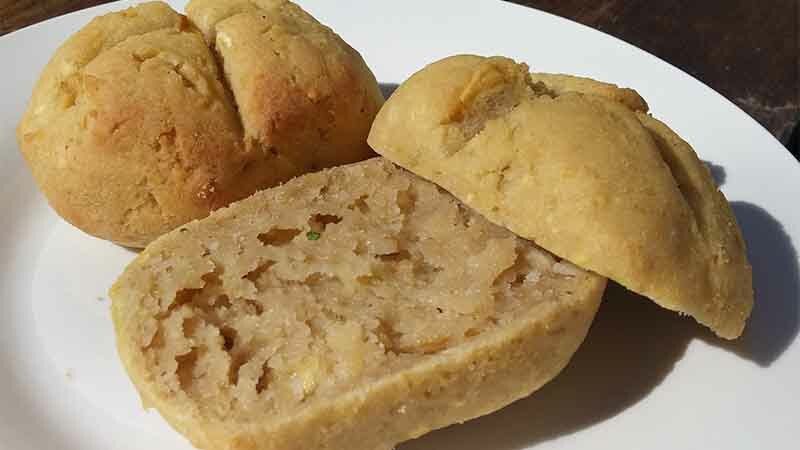 Please view the original recipe to view an alternative using coconut milk and not so much oil. I tend to make this version below as I don’t like to open a can of coconut milk for just a small amount. I also use coconut oil instead of extra virgin olive oil. The original recipe will also give you the non-thermomix instructions. I have found the quantities of plantain and cassava flour are very forgiving so I tend to see how much the plantain weighs and then adjust the cassava flour accordingly. You need to use more Three Spades Cassava Flour than you do if you use Otto’s Cassava Flour, but the end result is the same. Australian Stockist for Otto’s Cassava Flour – find a retailer from the list here, or buy direct at approximately $30/kg. 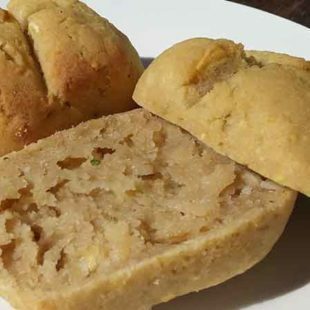 The dinner roll has a lovely crunchy crust and a soft bread-like interior fresh out of the oven and the crust softens when cool. They are best eaten the same day as they dry out after a day or so, or gently reheat if they are a day or so old to restore chewy soft texture. I love them with some coconut butter or just on their own with a meal or with soup. They are very high in carbohydrates so keep that in mind if that matters to you. 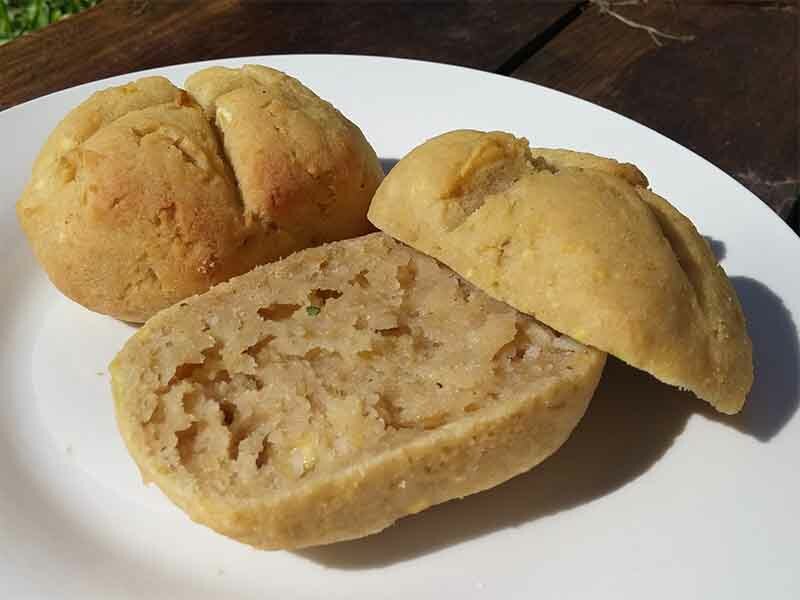 This is the AIP Dinner Roll recipe from The Paleo Mom converted to metric measurements, also for the TM31 model Thermomix and using the Australian cassava flour brand Three Spades. Preheat oven to 220 degrees celcius (a hot oven). Combine chopped plantains, oil, salt and water and blend speed 6/8 seconds. Scrape down sides. Blend again speed 8/8 seconds, scrape down sides. Add cassava flour and blend speed 4/5 seconds. Tip dough out onto floured surface and lightly kneed. Check consistency of dough. It should be like a cross between scone dough and bread dough. If it feels too wet add more cassava flour bit by bit. Kneed lightly into a long sausage, with floured hands if it sticks to your hands. Cut into 10 - 12 even lengths. Place on tray lined with baking paper and with a knife put a "cross"cut about 1 cm deep on each roll. Place in preheated oven and cook for 25 minutes.